Bitcoin And its Scaling Problems. Will Bitcoin Improvement Plan Help? 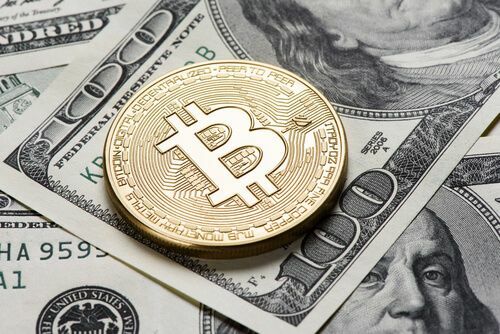 Bitcoin Improvement Plan 91 is expected to go through on August 1. Except that it has a huge scaling problem. But some believe that Bitcoin may finally have found a solution to that massive scaling problem. Before we get into the details of the problem and the solution, let’s first discuss what on earth is BIP 91. And more specifically, how does it concern Bitcoin. Last Thursday night, many believed that Bitcoin was actually on a dangerous ledge. Because a ton of users voted, rather overwhelmingly, in favor of moving forward and implementing an improved version of a previous code. Of course, that was last Thursday. Experts believe that Bitcoin may have recovered in time and pulled itself back. Why Did Bitcoin Users Vote on The Code Improvement Implementation? Because they believe it may stop Bitcoin, a cryptocurrency, from breaking into half. Or splitting into two as some might say. The vote will go into effect on August 1. It will also allow Bitcoin, the cryptocurrency, to scale with stability until it is adopted on a worldwide scale. Most of the changes implemented by the new code are technical in nature. Moreover, some believed that the proposed changes were nothing but fraught with infighting. That’s also the reason why followers of the cryptocurrency warned that users should strap in tight because there were going to see a lot of blockchain politics along with some light crypto math. We think of Thursday’s vote as a milestone. Because we consider it a very important response. Response to what you may ask? In other words, Bitcoin is slow. Some believe calling Bitcoin as slow as hell is a slight understatement. BIP 91, or BIP 141, on August 1 we will get a definitive answer. Bitcoin networks aren’t really designed for speed. More specifically though, no one really thought that Bitcoin would become this big. And hence, Bitcoin’s network, by design, isn’t suited to handling the kind of volume of traffic that it is experiencing at the moment. More and more people are starting to use Bitcoin. And some are beginning to use Bitcoin as their main source of online currency. Of course, all of that puts an increased amount of pressure on the Bitcoin network. To move the discussion forward, let’s talk about a simple story. The Bitcoin has this thing called transaction data. This transaction data comes in blocks. The size of those blocks is sometimes 1 megabyte. When these blocks get uploaded to Bitcoin blockchain, it gets filled up. Right now these blocks are full. And this has given birth to a massive backlog. Well, a backlog of Bitcoin transactions which are unconfirmed. How much time does it take to move forward from the unconfirmed status? The longer the backlog, the more the chances that the unconfirmed status would remain for longer. In other words, the status might take hours to change from unconfirmed to something more favorable. Or it might take days. Normally though, the network takes around ten minutes to confirm these transactions on the blockchain. However, if a user is prepared to pay a little more money than the blockchain can push the user’s transaction a bit faster. Surely, users don’t appreciate the fact that they have to pay extra money in order to move their unconfirmed Bitcoin transactions to the completion stage. Developers who are involved with Bitcoin do know that the problem exists. Want to know another good thing? They have known that the problem exists for several years. So why haven’t they fixed it yet? Surely they don’t want Bitcoin users to suffer like that. And of course, they wouldn’t want users to pay extra money in order to move through the blockchain backlog quickly enough? Well, it turns out, implementing the required solution is not as straightforward as it seems. In fact, the decision to implement a solution that will solve the problem has actually turned into an acrimonious debate. Some believe it is not a debate. It is a form of civil war between Bitcoin users and Bitcoin developers. And a big one at that. Thursday’s vote means that the war may finally come to a fitting end. Moreover, if the new solution goes through and the Bitcoin community as a whole adopts it then it may also help Bitcoin’s scaling problems. The solution to those Bitcoin scaling problems is termed as Bitcoin Improvement Plan 91. Or as we mentioned in the beginning of this article, BIP 91. How Can Bitcoin Improvement Plan 91 Succeed? More like what will it take for Bitcoin Improvement Plan 91 to go into action and solve the problem. Well first, the community will have to adopt the Bitcoin Improvement Plan 91. These miners are basically just people. People who are involved in the task of processing blocks of that Bitcoin transaction data which we talked about before. These miners have to do something important and easy if Bitcoin Improvement Plan 91 is to go through. Mainly, they have to show their intent with a signal. They have to make sure they let everyone know that they are ready to go along with the Bitcoin Improvement Plan 91. More specifically though, to do that they have to add a specific signal data to blocks which they mine. Let’s go back to Thursday’s vote again. They voted, or signaled, that they favored the Bitcoin Improvement Plan 91 proposal. Think of it as a way to encourage the widespread activation of an improved code or changed code which is called Segregated Witness. This Bitcoin Improvement Plan 91 or Segwit, promises that it will speed up that slow as hell Bitcoin network. However, the Bitcoin Improvement Plan 91 is more than just Segwit. The Bitcoin Improvement Plan 91 doesn’t just want to implement segwit. The Bitcoin Improvement Plan 91 also wants to incorporate the doubling of Bitcoin’s block size. We told you before that the current size of Bitcoin transaction data block is 1 megabyte. The Bitcoin Improvement Plan 91 wants to increase that to 2 megabytes. This improvement is known as segwit2x. With that said, the main goal of Bitcoin Improvement Plan 91 is something different. Its main aim is to sidestep a very dangerous threat that we mentioned in the beginning of the article. That threat, is the splitting of Bitcoin, a cryptocurrency, into two different versions. Thankfully though, if everything goes to plan, then Bitcoin Improvement Plan 91 will put an end to that very real threat on August 1. As mentioned before, this is a very real threat in the form of a chain split. 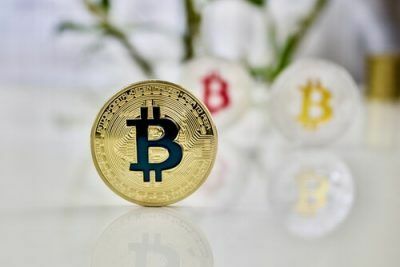 This chain split is likely to occur on August 1 if the Bitcoin community adopts Bitcoin Improvement Plan 148, another one of those leading proposals, without Bitcoin Improvement Plan 91. The Bitcoin Improvement Plan 148 will basically forcibly implement Segregate Witness, or Segwit. And it will do so whether the community of Bitcoin miners agree on it or not. Perhaps this is a good time to mention that a lot of Bitcoin miners have also advocated for Bitcoin Improvement Plan 148. They are actually calling the August 1 date as their form of independence day. So why is the Bitcoin Improvement Plan 148 a risk? Well, let’s first say that it does actually present a risk. That risk is the chance of forking the Bitcoin blockchain. As mentioned before, if it comes to it then the Bitcoin Improvement Plan 148 will split the Bitcoin blockchain into two different versions. 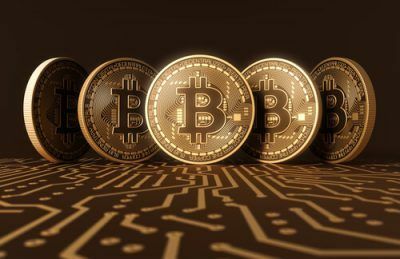 One of the versions will consist of Bitcoin miners who adopted Segwit. While the other version of Bitcoin blockchain will consist of Bitcoin miners who held out on the other. Perhaps it is important to note that the Bitcoin Improvement Plan 91 is also a kind of mechanism. A mechanism designed to force the Bitcoin miners community to adopt Segwit before August 1. This will ensure that the Bitcoin Improvement Plan 148 passes but without any significant effect. Let’s suppose that the Bitcoin miners community locks in the Bitcoin Improvement Plan 91. Then the Bitcoin network will abandon the portion or block of Bitcoin miners who failed, or did not signal their support for Segregated Witness, of segwit. Know that the Bitcoin Improvement Plan 91 doesn’t come without incentives. In fact, it comes with quite a strong one. In other words, Bitcoin miners have an incentive to signal support for Segregate Witness, or segwit. The community has ensured that the timing of the proposal is such that it would all happen or take place a bit before August 1. So that the entire Bitcoin network can move to a position of total consensus. Of course, this must happen before the Bitcoin Improvement Plan 148 itself kicks off and then split the entire Bitcoin blockchain into two. What Would Segregated Witness Mean For Bitcoin? As mentioned before, if the Bitcoin Community adopts BIP 91 then it would double the size of the blocks of Bitcoin data. It will do so by modifying the way the block records cryptographic signatures. When a user wants to send some other user some Bitcoin, the user has to sign the Bitcoin transaction. The user has to do so with a private key that is associated only with the user’s own wallet address. The user also has to sign the public key of the other user to which the first user wants to send some money. To the sender has to sign a public key which belongs to the recipient. These type of signatures form the major bulk of Bitcoin data that is present on any given block on the whole Bitcoin blockchain. Some reports say that it forms about sixty percent of the Bitcoin data that is present in any given block on a given Bitcoin blockchain. As mentioned before in the article, currently any block on the Bitcoin blockchain can have space that cannot exceed 1 megabyte. We have already mentioned the fact that some Bitcoin miners want to adopt the Bitcoin Improvement Plan 91 as soon as possible and some don’t. Now we know that some have already done so over the past couple of months. To put it another way, some Bitcoin miners have adopted Segwit via Bitcoin Improvement Plan 141. The BIP 141 is basically the original proposal that the community wanted to use for Segregated Witness. WIth that said, we also know that the majority of the miners have not signaled their support for the proposal. 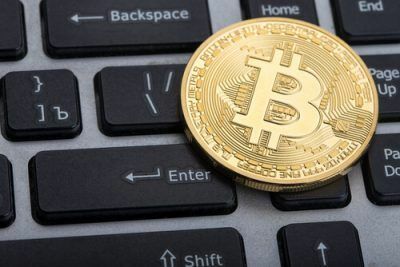 And the miners who exist on the Bitcoin network, have never really signaled their support for the original proposal in sufficiently large numbers. Some reports put the maximum number at forty percent. What we mean to say is that, for better or worse, the implementation of Segwit proposal had actually stalled out. So of course, this frustrated some of the miners on the network. And then these frustrated ones came up with the response. Today, we know that response as BIP 148. As mentioned before, the BIP 148 came as a threat to other miners. You better get in the right line or the network will kick you out. And it is because of this approach that we can currently see a specter of blockchain split. Fine, What Is The Problem With A Split? Afterall, Bitcoin’s well-known and rather popular cousin Ethereum also forked just this past year. The Ethereum fork resulted in an alternate cryptocurrency. We all know that alternative cryptocurrency as Ethereum classic. If something similar happens to Bitcoin, then we may see another version of Bitcoin as well, called Bitcoin classic. Think of BIP 91 as a consensus. At least it has come close to that threshold. And the community hopes that BIP 91 will prevent such a split. Of course, not all Bitcoin miners are in love with BIP 91. They are not sure about the idea that BIP 91 would make sure that miners adopt Segregated Witness. Right now all we know is that Peter Todd, a Bitcoin developer, pointed out on the social website Reddit. The link showed that very few miners had running nodes that in-reality forced the proposed BIP 91 regulations and rules. Will KickassTorrents Come Back? Is There A Possibility?